As well as traditional forms of burial the Church also offers support to relatives with cremation and the burial of urns. Fellowship with Jesus Christ is not broken by death. This certainty has at all times given comfort and assurance to Christians. Thus it is set out in the constitution of the Evangelical Church in the Rhineland (EKiR) that the funeral service shall include a proclamation of the crucified and risen Lord Jesus Christ. In the Evangelical Church in the Rhineland there are no regulations about having a particular form of funeral. 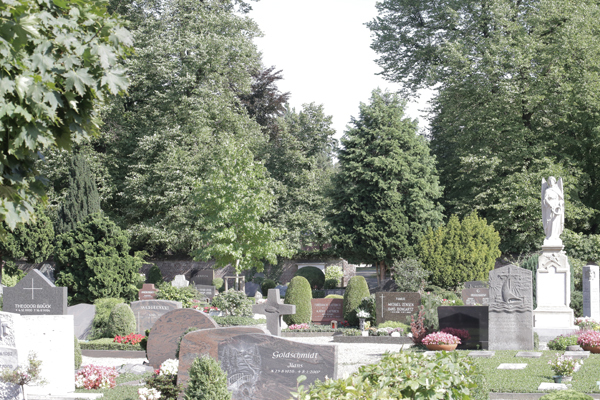 As well as traditional forms of burial the Church also offers support to relatives with cremation and the burial of urns, as well as funerals in an environmentally-friendly burial ground. Arrangements for a church funeral can be made either through a funeral undertaker or by making direct contact with the minister or with the parish office. It is a fundamental condition for a church funeral that the deceased person belonged to the Protestant Church. If the dead person was not baptised or was not a member of the Protestant Church, then in exceptional circumstances, on the request of Protestant relatives, a church funeral can take place, so long as the dead person had not specifically rejected this.